Yahoo! It's finally here! 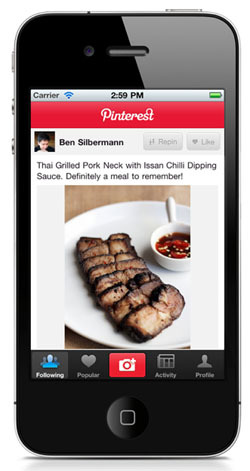 Pinterest for the iPhone. Now I'll really never get anything done. Had to rush right over and load it up! I wish I had it yesterday when I was playing around with bedding at Pottery Barn. same here... productivity meet the dumpster! I'm itching for an ipad app already.